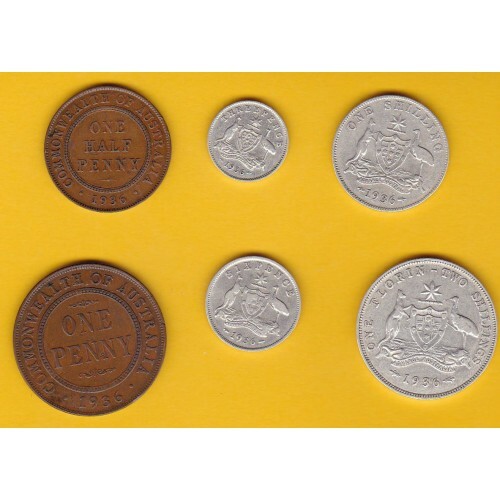 This set comprises the 6 Australian coins in selected circulated condition issued in 1936 packaged for display in a new case, and is ideal for a birthday present or anniversary, similar to the scan as shown. We list these sets for a number of years, but we can supply similar sets for most years from 1910 until 1964. Please enquire for details.